← Would you give this werewolf to your 3 year old? 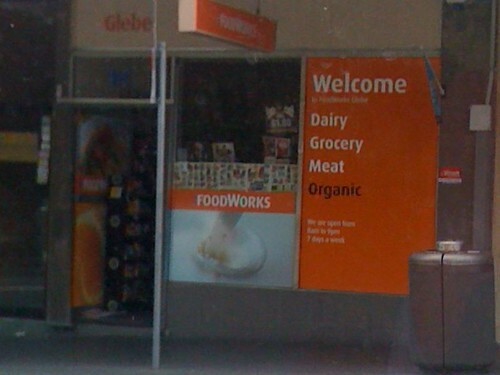 Noticed this supermarket in Glebe highlighting the fact it sells organic products by putting the word organic in a different colour. But, if you are going to go to that much trouble, is black really the correct colour for the word? Don’t you think it might make more sense to have it green? Which even contrasts well with the orange background. This entry was posted in Photos, Shopping and tagged organic, photo, shop, sign. Bookmark the permalink.